Shey Ki? Eyi Ki Bolchen aapni? CSK ar Fair Play? Ora 2 bochchor cheating Korey out chchilo IPL theke. That photo is the previous ball I think. This was the one with the no ball called. Every team does fixing-vixing in IPL. 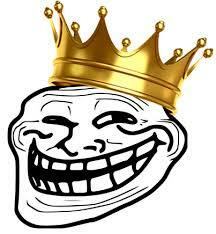 I have actually heard IPL is scripted drama LMAO. They are playing with conviction while MI has to cheat to win it. Dumbo...he landed the foot on the crease and extended it beyond the line during point of delivery. It was not a no ball. I think CSk strategy is good too. CSK cheats and fix to reach to the final and finally they meet a team with impeccable integrity, the one and only Mumbai Indians in the finals and so show their real aukat in the finals with no fixing or cheating to help. No wonder they become phusky (hollow) from chusky in the finals. I feel sad for fans like you. Live an untrue dream for an entire IPL built on cheating and fixing. 2 years ban, which team? Proven cheater, cheating super kings. power of the money ..
bambis went way too low to win something by banning us , filing case against us etc ..
Uncle Laloo is pakistani gujju bandwagon fan. Don't expect him to understand the basic laws of cricket. The bambis, the ipl, and even the whole country runs on bambani money. No surprise. Serial cheaters! I don't think you understand the meaning of the word 'proven'. In the real world, you posting a 1000 times Bambani, phixers, cheating, mafia, pakistani bandwagoners doesn't amount to proof. Exactly. What is proven is that the Chuskies got banned for 2 years of Fixing. Also proven that Chuskies can’t even watch Home matches in their own city because of their own stupidity. What was proven was that CSK was banned for 2 years because the owner was proved to be involved in betting which is illegal in India. No fixing was involved which was proven after a thorough investigation. So as you guys mention, just talk about what is proven. The only franchise that was proved to be involved with fixing is Rajasthan Royals. Yeah! Keep believing it. Proved fixing allegation would have been huge blow to IPL. Too much money involved for a so called thorough investigation. This isn't entirely correct. I know that most posts on this thread are troll posts , but your post here warrants a serious reply. I'll try and keep it short. To put it simply, the act of fixing is done by the cricketers. After all if a cricketer refuses to fix no matter what he gets as a financial reward, there can be no fixing. Everyone else is basically tried under the Prevention of Corruption Act (1988). Under current legal nomenclature, only public servants are under the ambit of the said act. So cricketers too have to bought under the Public Servants umbrella. But cricketers/ cricket administrators do not actually do any public service and hence aren't public servants. On the case of Meiyappan, there was a concerted attempt by him to ask his bookies to fix an over/few deliveries. One of the bookies who squealed on him was Vindoo Dara Singh. Did he try to fix and hence 'cheat' the viewing populace? Yes he did try. The intent ( the primal decider of quantum and nature of legal punitive action) was obviously there. But, is he a public servant? Can he be tried under the Prevention of Corruption Act? Not really. So Meiyappan was charged with other smaller charges and banned for life. So whenever there is an amendment and cricketing admins/owners are included ( illogical as it may be) under the ambit of public servants, Meiyappan is likely to face the charges again and could face jail time. Very unlike, but plausible. On the case of Meiyappan, there was a concerted attempt ﻿by him ﻿to ask his bookies to fix an over/few deliveries. One of the bookies who squealed on him was Vindoo Dara Singh. Did ﻿he try to fix and hence 'cheat' the viewing populace? Yes he did try. The intent ( the primal decider of quantum and nature of legal punitive action) was obviously there. But, is he a public servant? Can he be tried under the Prevention of Corruption Act? Not really. So Meiyappan was charg﻿ed with other smaller charges and banned for life. So whenever there is an amendment ﻿and cricketing admins/owners are included ( illogical as it may be) under the ambit of public servants, Meiyappan is likely to face the charges again and could face jail time. Very unlike, but plausible. Even if that is the case, players have not been proved to be involved in fixing, right? It is just like the case of Mianded accusing Sachin that he knew everything about the fixing going on at the time of Fixing sage. As long as the cheating and fixing allegations are taken as trolling, it's fine. But when saying it has been proved (because it's not) that CSK players were involved in fixing, then that is what is wrong because that no longer is trolling but serious allegations of some of our great LOI players. Nothing has come to the fore about CSK players agreeing to fix. In fact Vindoo Dara Singh said that he or other bookies didn't approach the players though Meiyappan wanted them to. But what is proven without doubt that Meiyappan intended and tried to fix. His general inefficiency meant that he failed in that too. Hence his life ban. 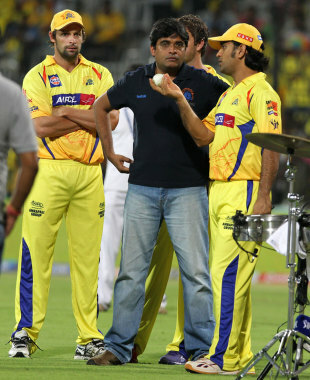 When did I say CSK players have been involved in fixing? The other major legal issue CSK faced was the whole conflict of interest thing: Srini being chairman of BCCI and running the CSK Franchise. Pant's 128,Hardik's bowling records, saab bachaal hai . Don't take them (and IPL) seriously. Bambanis has criminal record. They looted India so why this a surprise ? Bambi mafia has umpires in their pocket. The entire IPL is scripted. Not only Bambani, but every *ing franchise and player is into it. Well yeah we will keep believing otherwise. Wake me up when we are banned for two years. You keep supporting that slimeball meyeppans and those other oily rats. Lol, who is supporting Meyappan? We are CSK supporters, like how we all remained Team India supporters even after some buggers were proved to be involved in fixing. Ambanis have way more money and power in India than Srinivasan can ever dream to have. No way MI is getting banned. But CSK was banned for 2 yrs. There is no smoke without fire. In MI case there is no smoke. Hehe. Poor RR they have no option of winning this one. I predict the MoM for the umps. Poor guys are going to get crushed under the skills of the umpires and broadcasters. Cheating Super Kings at its best today. Posted by UnknownGenius in the bambi vs RR thread. Cheats!!! I swear to god, that 2nd last bouncer would've been given wide if any among RCB, RR or DD etc were bowling. Also that clear wide which was not given, and than after that Rohit sharma signalling to keep bowling the same, had me in splits. As if saying, don't worry umpires are compromised, keep bowling wides.